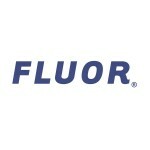 IRVING, Texas--(BUSINESS WIRE)--Fluor Corporation (NYSE: FLR) announced today that one of its manufacturing projects has been awarded the 2018 Construction Industry Project Excellence Award by Construction Users Roundtable (CURT). Procter & Gamble commissioned Fluor for the project, the addition of a baby care facility to an existing family care site. Fluor provided the engineering, procurement and construction for the project. The CURT Construction Industry Project Excellence Award recognizes project teams who have achieved excellence in project delivery. Entries are evaluated by a project’s ability to add value and eliminate waste and overall excellence in five areas: Safety, Cost Performance, Schedule Performance, Quality and Innovation.